How old are you? 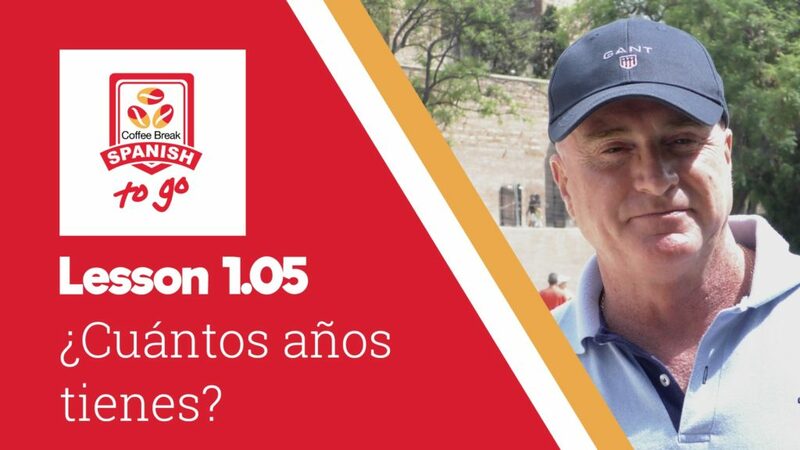 (informal) – ¿Cuántos años tienes? How old are you? (formal) – ¿Cuántos años tiene usted? In the first part of the video, watch the interviews without subtitles and try to understand. In the second part of the video, we’ve provided subtitles in Spanish at the top of the screen. You can choose to turn on subtitles in English using the Subtitles/CC button. In this first series of Coffee Break Spanish To Go, Marina is in the city of Málaga, in the south of Spain, and in each episode she’ll ask passers-by one question. Of course, that one question will result in many answers, and it’s through these answers that you can practise your Spanish and build your vocabulary. Coffee Break Spanish To Go will be published every two weeks here on YouTube, and each Season will be filmed in a different part of the Spanish-speaking world. If you’d prefer not to wait for all 10 lessons of Season 1 to be published, you can access downloadable versions of the videos along with audio versions and lesson notes / transcripts in the Coffee Break Academy. Coffee Break Spanish To Go is based on the popular podcast series and online course Coffee Break Spanish. For access to the free podcasts, please click here. I’m in my first year Spanish, this videos are a great help to me. You learn from native speakers how to pronounce correctly.